Sonic Prophecy was formed officially in 2008. They wanted to capture the excitement and sound of such bands as Iron Maiden, Judas Priest, Helloween, Hammerfall, and Kamelot while melding other musical styles, arriving at a sound all their own.After the first year, some songs were written and the band played their first live shows, opening for the mighty Tyr and Alestorm on the Pagan Knights Tour in 2009. Later in that year the first demo was released with positive feedback. 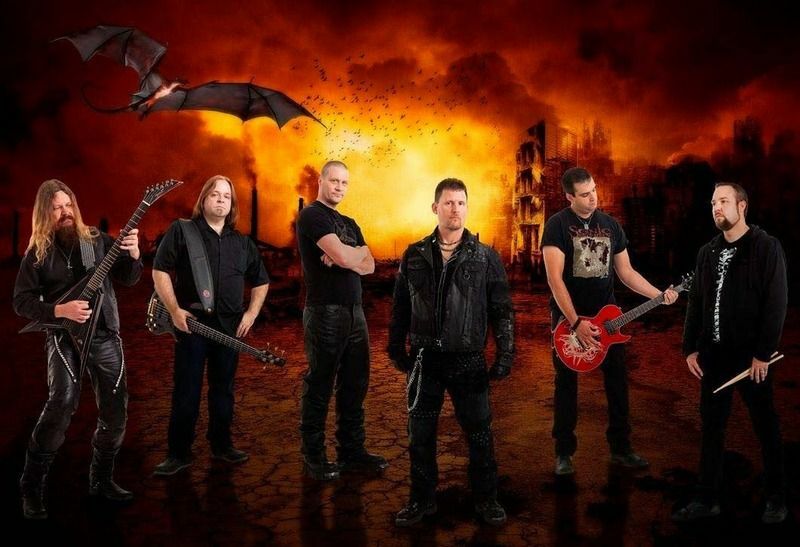 They followed that up with many more live performances including big opening gigs, this time for the classic bands Ratt, Cinderella, Accept, and Sabaton.In mid-2010 Sonic Prophecy began the production of their debut album, “A Divine Act of War”, which was released independently in mid 2011, receiving great reviews and solidifying a sound undeniably their own. 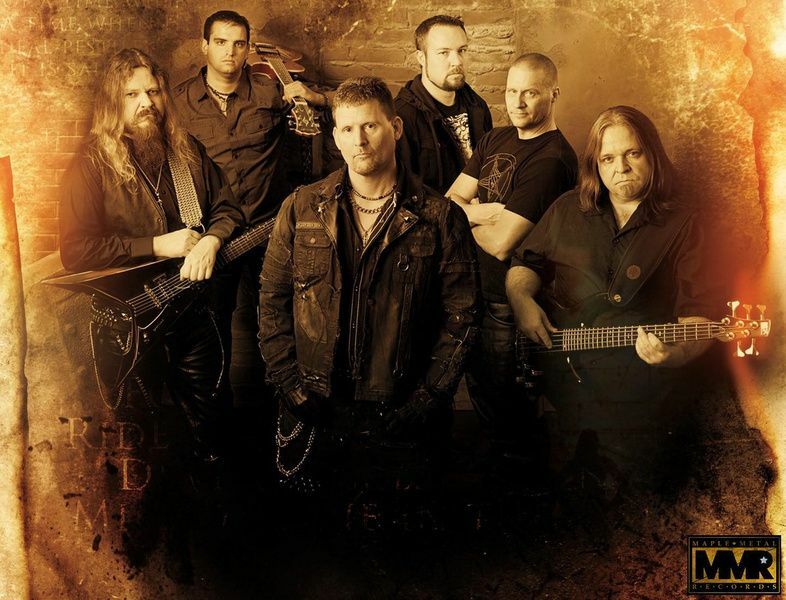 During this time period, the band did some regional touring throughout California, Nevada, Utah, Colorado, and Idaho which included headlining Power Metal festivals in both Denver and Las Vegas as well as having their music used in the television series “Rock n’ Lock”, a video game “Volgarr the Viking”, and the Danny Trejo movie “Vengeance”.In early 2012 Sonic Prophecy began the writing process for their second full length album, “Apocalyptic Promenade”, which is scheduled to be released in early 2015. This album combines the melody and beauty of symphonic power metal while maintaining the crunch, drive and power of traditional metal. The album was mastered by Trevor Sadler at Mastermind Productions (Rush, Triumph, Nine Inch Nails, Live). Album highlights include power metal tracks Temple of the Sun and Born of Steel and Fire, traditional metal tracks Apocalyptic Promenade and The Warriors Heart, the power ballad track Fire Messiah, and the epic 12 minute track The Fist of God.In January 2015 the band announced that were signed with Maple Metal Records and that Apocalyptic Promenade would be released in March of that year and that “A Divine Act of War” is would also be re-released on March 3rd. The band will be touring in support of “Apocalyptic Promenade” and branch into new markets. The band will also begin the writing process for the next album. 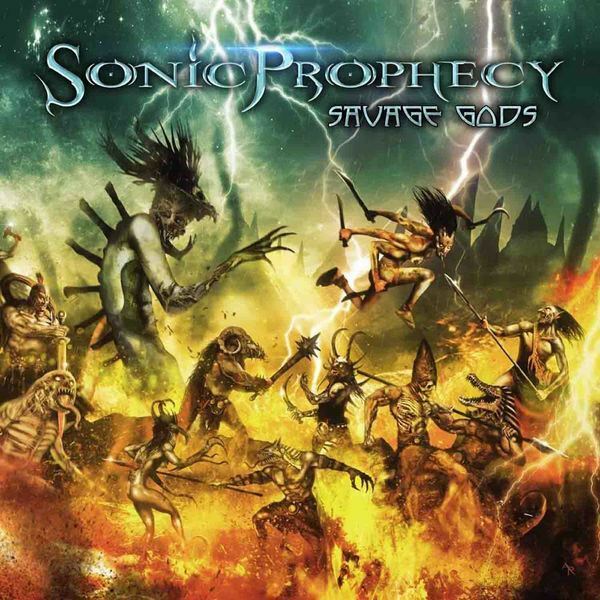 Out on January 19th 2018 from Rockshot Records comes Savage Gods, the new album from American power/heavy metal band, Sonic Prophecy.Spitting out earth shattering riffs, screeching solos & plenty of memorable hooks comes Savage Gods. An album with plenty of the old school about it in regards to the classic power/heavy metal style it adopts. Fans of Judas Priest will feel right at home.Nearly an hour of unadulterated metal played fast & heavy. The title track, Night Terror & Unholy Blood fly by in a hail of fist-pumping rhythm helped along by the powerful & soaring vocals. The first time things slow down it’s to deliver a darker & moodier track. Dreaming of the Storm has less urgency about it but doesn’t disappoint when it comes to huge solos & exciting riffs.Savage Gods doesn’t quite manage to keep the momentum going though as Man the Guns is pretty forgettable & while Walk Through Fire has some good use of piano it goes on a bit too long.The latter part of the album brings things back around though with a mix of tempos on A Prayer Before Battle Before Iron Clad Heart drops a catchy & heavy rhythmic metal track that brings the smiles back. Punchy as hell.Something that Man and Machine also manages to bring to the table just as attention is beginning to wane again. Pure head-banging glorious metal with one of the albums best solos. Savage Gods wraps up with Chasing the Horizon. Galloping riffs, crunching drum beats & a more aggressive stance finish things off strongly.An impressive power/heavy metal release that has plenty to enjoy & keep you coming back for more.